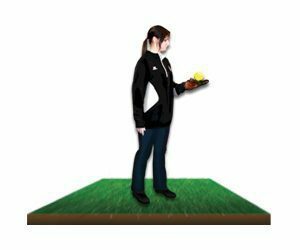 Object: This drill is intended to help your Little Leaguer® improve their ability to open their glove when playing defense. Many young players simply move their glove through the air without ever moving their hand inside their glove. This drill offers a fun way to practice and improve how a player’s hand should properly work inside the glove. 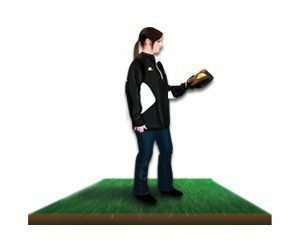 What you’ll need: Your Little Leaguer will need his or her glove and a ball. If you want to participate alongside, you will need a glove and a ball as well. Have your Little Leaguer put his or her glove on, squeeze it closed and place the ball on the outside of the pock of the glove. When your player is read say “Go!” and have him or her flip the ball into the air. have your Little Leaguer open their glove by stretching his or her hand wide inside the glove. As the ball comes down, keep the glove open and let the ball hit the inside of the glove while it’s open – but don’t have your Little Leaguer squeeze their glove shut! 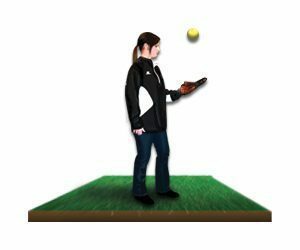 With the glove open and the ball in it, have your player immediately toss the ball back into the air by pushing the glove hand upwards. Then, as soon as the ball is in the air, squeeze the glove closed again allowing the ball to quickly land on the outside pocket of the closed glove, before pushing it back up into the air. Repeat this Open and Closed process, each time trying to increase the quickness and frequency you send the ball back in the air. Work on sending the ball upwards as soon as it touches the glove. Play a game with this drill. For example, each time the ball touches the glove, either while it’s open or closed, it counts as 1 point. If you are practicing alongside your Little Leaguer, see who can get to 10 first! 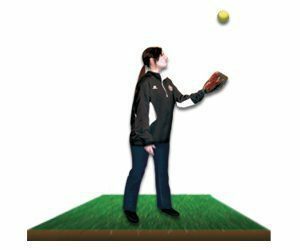 This drill is a great way to improve catching and fielding by learning how to properly move your hand inside the glove. It also helps with your hand-eye coordination.